ShapeGrabber is a division of Quality Vision International (QVI) and offers automated 3D scanners for rapid measurement of complex shapes. Manufacturers in the automotive, aerospace, medical, and other industries rely on ShapeGrabber to measure their products. These include injection molded plastics and precision castings, which are often difficult to measure using traditional tools. 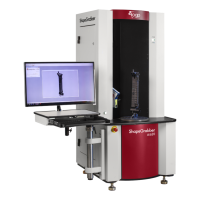 The ShapeGrabber Ai series of automated 3D scanners can bring speed, accuracy, ease-of-use, and complete part coverage to your inspection	process. Using multiple motion axes, ShapeGrabber scanners eliminate the need for software alignment and registration. Systems such as the Ai310 ensure fast, accurate, and automated results. They are ideal for situations in which speed and ease of use are important. A 3D scanner enables manufacturers to improve product quality and compliance without slowing down production. ShapeGrabber’s state-of-the-art inspection solutions are the next generation in optical 3D measurement systems. A pioneer in the field, ShapeGrabber has been supplying 3D scanners to industrial customers for over twenty years. ShapeGrabber scanners are turnkey and include all required hardware, software, CAD workstation, installation, training, and a full year of support..